Since Hurll Nu-Way was established in 1898, we have always aimed to supply the most energy efficient, innovative and safest products on the market, all from world-leading brands. We believe in the safety of your business and your employees. When you choose a product from Hurll Nu-Way, you can enjoy peace of mind in knowing that your product is of the best quality, especially when it comes to our sliding vane pumps. Sliding vane pump is a popular vane pump design for applications requiring flow rates of 75 LPM - 1000 LPM. The sliding vane design combines low cost with high reliability and easy maintenance. The sliding vane principle is simple: a slotted rotor is supported in a cam. The rotor is placed close to the wall of the cam so a crescent shaped cavity is formed. The clearances are precise and minimal. Vanes, also known as blades, slide in and out of the rotor slots to seal off a volume between the rotor, cam and side plate. The blades sweep the fluid to the opposite side of the crescent where it is squeezed through the discharge point. 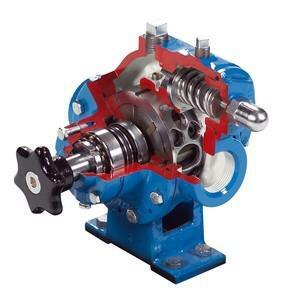 Sliding vane pumps can run dry for a short period of time; they also can tolerate small amounts of vapour. Sliding vane pumps are widely used for low viscosity fluids and for fuel transfer, including LPG, diesel, petrol, biodiesel, liquefied gases as well as for loading and unloading. At Hurll Nu-Way, we carry a range of products that can help your business, including industrial air knives, low intensity radiant tube heating, ceramic heaters, process burners and much more. If you have any further questions about sliding vane pumps, or about our range of products, and how they can help your business, contact our team of experts today. 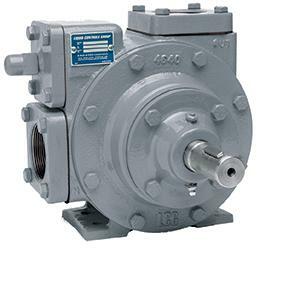 A sliding vane pump is an ideal solution for an industrial or commercial property that requires a low cost, reliable and easy maintenance option. If you would like to discuss your needs, or if you have any questions regarding sliding vane pumps, contact the team at Hurll Nu-Way today. You can call us on 1300 556 380, or by using our simple online contact form. We look forward to helping you find the right solution to suit your needs. 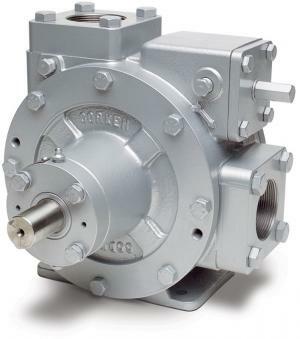 Are you looking for a durable and consistently high-performing sliding vane pump designed especially for chemical solvents and petroleum products? Do you wish to invest in quality without spending a fortune? Get your pumps for handling chemicals and petroleum products from Hurll Nu-Way, Australia’s trusted industrial equipment provider in Australia. Hurll Nu-Way is the trusted provider of high-performance equipment for industrial and commercial needs at competitive prices. With numerous years in the industry, we support business growth through the integrity of our products and the affordability of our prices. Industry giants trust us when they need to purchase new equipment, or need spare parts to optimise, or fix their old. Industrial gear is expensive, which is why we make sure to stock products made from the highest-grade materials to make sure your investment is worthwhile. When handling high value liquids and gases you want to make sure that you have the state-of-the-art equipment that will meet and exceed the task at hand. You want reliable equipment that works for years to come. Not only is this important because they are pumping valuable resources that cost money when handled incorrectly, but also because spills, fume leakage, or other malfunctions can lead to real harm to employees and the environment. We stock the industry favourite Corken PZ- Series petroleum and chemical pumps, renowned for its easy-fit solutions and reliably high performance. For reliable handling of a number of petroleum products such as kerosene, fuel oil, diesel, gas, gasoline chemical solvents, look no further than our pumps. We also stock a comprehensive range of other industrial parts and products, to help you complete your tasks with ease and expertise. From roots style blowers, to infrared heating, to air heaters, and more, what you need we have. For all your handling needs, our pumps will do the job reliably and efficiently. Buy yours today and have it shipped to you. Alternatively, you can call us on 1300 556 380 or make an enquiry online and we’ll endeavour to get back to you as soon as possible. Corken diesel transfer pumps are used in a wide range of industries, such as transport and storage, mining and manufacturing. Ductile iron, UL-listed pumps for LPG or NH3 transfer applications as well as pumps for liquid CO2.